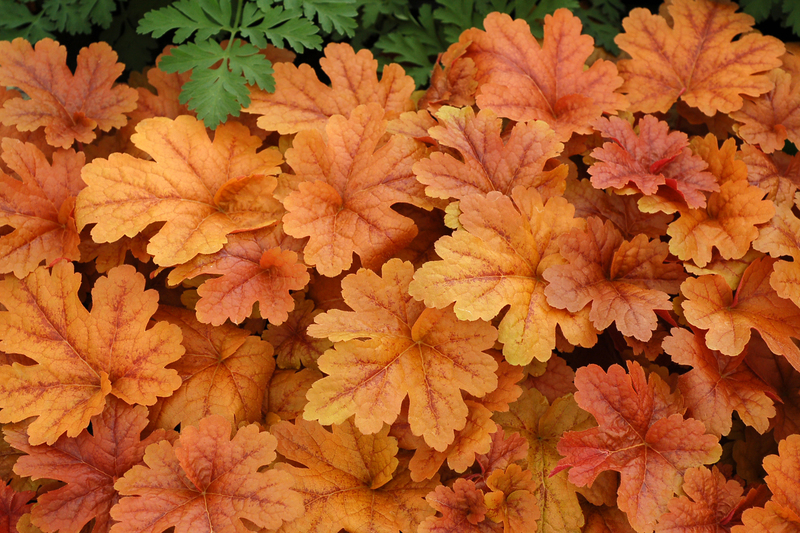 Deeply-cut maple-like leaves are caramel colored from spring through summer. In fall, the cool weather burnishes the leaves to rose red. A great complement to fall planted containers. More compact and low compared to ‘Sweet Tea’ and ‘Brass Lantern’. Glossy foliage looks good all year and rarely flowers.